National leaders from across the world have issued statements welcoming the UN General Assembly resolution on Thursday that called on the United States to reverse its recent decision to recognise Jerusalem as Israel's capital. A total of 128 countries – a sizeable majority – defied US President Donald Trump and voted in favour of a resolution calling for the US to reverse its controversial decision on Jerusalem. Following the UNGA vote, leaders from several nations expressed their satisfaction at the outcome. A spokesman for Western-backed Palestinian President Mahmoud Abbas called it "a victory for Palestine". French UN Ambassador Francois Delattre said in a statement: "The resolution adopted today only confirms relevant international law provisions on Jerusalem." France voted in favour of the resolution. Iranian Foreign Minister Mohammad Javad Zarif said in a tweet that the vote was a clear international rejection of the Trump administration's "thuggish intimidation". Turkish President Tayyip Erdogan, meanwhile, said on Thursday that he expected US President Donald Trump's administration to rescind without delay its "unfortunate decision" to recognize Jerusalem as Israel's capital. In comments on Twitter, Erdogan said after the vote that he welcomed the "overwhelming support" for the resolution. However, Israeli Prime Minister Benjamin Netanyahu described the resolution as "preposterous." "Jerusalem is our capital, always was, always will be. But I do appreciate the fact that a growing number of countries refuse to participate in this theatre of the absurd," he said in a video on his Facebook page. Earlier this month, President Donald Trump reversed decades of US policy by announcing that the US recognised Jerusalem – home to major Muslim, Jewish and Christian holy sites – as the capital of Israel and would move its embassy there. Trump had threatened to cut off financial aid to countries that voted in favour of Thursday's UNGA vote rejecting his move. A total of 128 countries backed the resolution, which is non-binding, nine voted against and 35 abstained. Twenty-one countries did not cast a vote. Nevertheless, Washington found itself isolated as many of its Western and Arab allies voted for the measure. Some of those allies, like Egypt, Jordan and Iraq, are major recipients of US military or economic aid, although the US threat to cut aid did not single out any country. "The United States will remember this day in which it was singled out for attack in the General Assembly for the very act of exercising our right as a sovereign nation," US.Ambassador to the United Nations Nikki Haley told the 193-member General Assembly ahead of Thursday's vote. Later on Thursday, Haley asked the 64 countries who voted no, abstained or did not cast a vote to come to a 3 January reception "to thank you for your friendship to the United States," according to the invitation seen by Reuters. Israel seized control of the eastern part of Jerusalem in the 1967 Middle East war and annexed East Jerusalem in 1980, a move that has never been recognised by the international community. The Palestinians have long demanded occupied East Jerusalem for the capital of their future state. Among those countries that abstained were Argentina, Australia, Canada, Colombia, Czech Republic, Hungary, Mexico, Philippines, Poland, Rwanda, South Sudan and Uganda. Trump's rhetoric on cutting aid startled some US allies but State Department spokeswoman Heather Nauert said Thursday's vote was just one factor that Washington would take into consideration in its foreign policy. "I just wanted to reiterate what the president had said yesterday and that that was the UN vote is really not the only factor that the administration would take into consideration in dealing with our foreign relations and countries who have chosen to vote one way or the other," she told reporters. According to figures from the US government's aid agency USAID, in 2016 the United States provided some $13 billion in economic and military assistance to countries in sub-Saharan Africa and $1.6 billion to states in East Asia and Oceania. The General Assembly vote was called at the request of Arab and Muslim countries after the United States vetoed the same resolution on Monday in the 15-member UN Security Council. 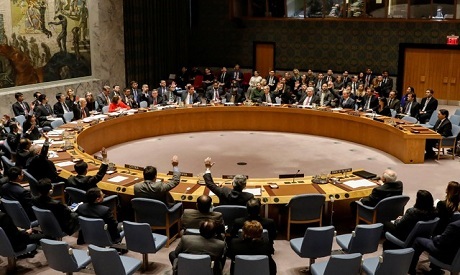 The remaining 14 Security Council members voted in favour of the Egyptian-drafted resolution, which did not specifically mention the United States or Trump but which expressed "deep regret at recent decisions concerning the status of Jerusalem." The UN action comes a year after the Security Council adopted a resolution demanding an end to Israeli settlements. That was approved with 14 votes in favour and an abstention by former US President Barack Obama's administration, which defied heavy pressure from longtime ally Israel and Trump, who was then president-elect, for Washington to wield its veto.